Sometimes, it pays not to expect too much. That way, you stand a chance of being agreeably surprised, as I was by how much I enjoyed ‘Ghost – the Musical’. Whoopi Goldberg apart, I was no big fan of ‘Ghost – the Movie’, so I wasn’t anticipating that a musical version sticking very faithfully to the film screenplay would appeal all that much. However, the show is visually spectacular and features some impressive performances by a strong cast. Dave Stewarts’s songs, though not particularly memorable (I didn’t come away humming any of the tunes), are well crafted and listenable. With one clunking exception, of which more below, the weaving of the songs into the storyline is skilfully done. The lead performances are very good. As in the film, Oda Mae Brown is crucial, because she gets most of the best scenes and lines, and Sharon D. Clarke is outstanding in the role, with terrific stage presence, good comic timing and a rich, deep, soul singing voice. Her introductory number ‘Are you a Believer?’, sung with her two assistants, is a cracker (for older readers, think The Pointer Sisters ‘It’s Raining Men’) and her final routine, ‘I’m Outta Here’, was my favourite bit of the show. Richard Fleeshman and Caissie Levy are engaging and likeable as Sam and Molly. Both have really good singing voices, even if they did tend to get a bit ‘shouty’ (especially Fleeshman) as some of the songs reached a loud climax. In fairness, they at times had to compete with an overloud band. Their first song ‘Here Right Now’ lifts the start of the show after a rather sluggish opening scene and the excellent ‘Rain / Hold On’ gets Act 2 off to a flyer. I also liked Molly’s solo ‘With You’. The rest of the cast provide solid support. Andrew Langtree as the baddie Carl is a better actor than singer; Adebayo Bolaji is spectacular as the subway ghost; and the ensemble provide energetic backing to many of the musical routines. Visually, the show is terrific, with an imaginative set, superb lighting and some dazzling special effects. The set is basically a box, but all of the walls move in and out to create other scenes and the walls are video screens, used particularly well to give pace and energy to the street and subway scenes. There are also conveyor belts across the stage and these are used effectively in the crowd scenes. There are some flaws. As already indicated, the first act is a bit slow to get going and the sound balance is poor on some of the songs, meaning the singers are struggling to make themselves heard and the lyrics are difficult to make out. For me, the show’s worst feature by a distance is the song ‘Ball of Wax’. It is sung to the newly-dead Sam by a chorus of ghosts and is a jokey ‘you’re a ghost now’ number. Coming as it does after a dramatic murder scene, done with some clever special effects, the song is completely out of place and spoils the atmosphere they have worked hard to create. 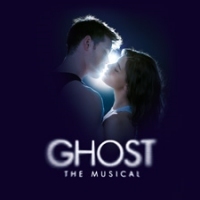 Notwithstanding these reservations, ‘Ghost – the Musical’ is an engaging and entertaining watch. It is playing to packed houses in Manchester and every performance has apparently received a standing ovation (it certainly did the night I was there). Not sure I’d go that far but it was a thoroughly enjoyable evening.